TweetBroncos Defeat Mandeville 38-0. Will play John Ehret @ home Friday, November 17 7:00 pm. JOIN US AT THE CORRAL! TweetThe victory over Belaire gave Coach David Brewerton his 100th career win. Congratulations Coach Brew! 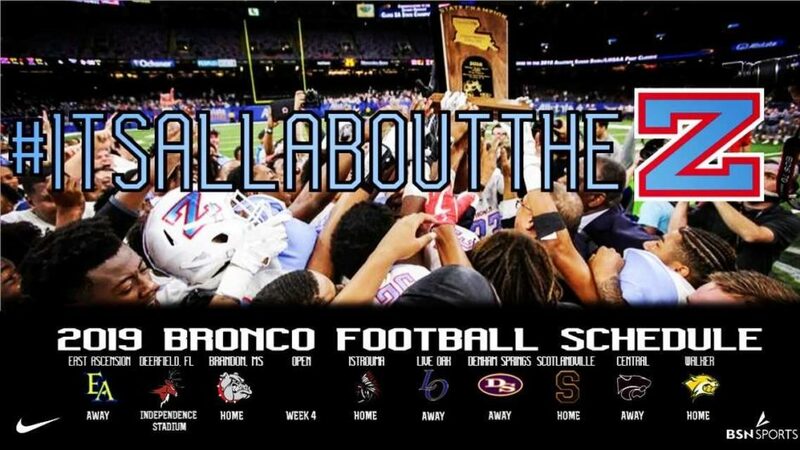 TweetWith a win over Belaire the Zachary Broncos are 4-5A District Champions.